Fall (and Halloween) is in the air! Today is the first day of October, so the Halloween costume countdown is officially on. And that means I need to get started working on Ian’s costume (and figuring out what he should be)! 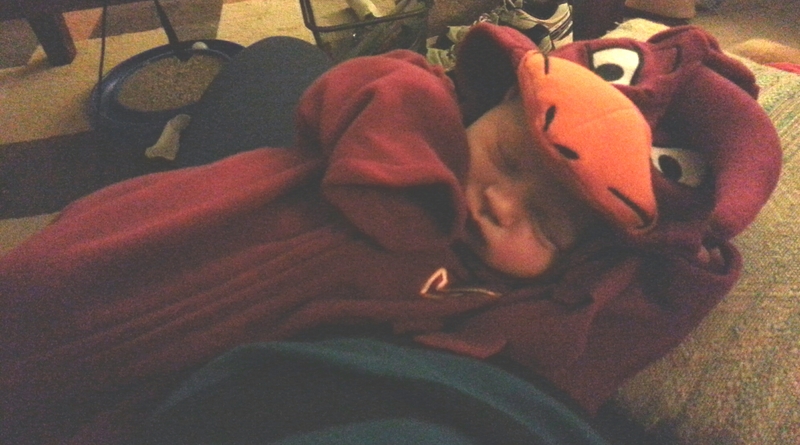 His first Halloween, he was only 5 days old- so he wore a Hokie Bird fleece onesie outfit. It was a gift. It was adorable. And he slept through most of Halloween. 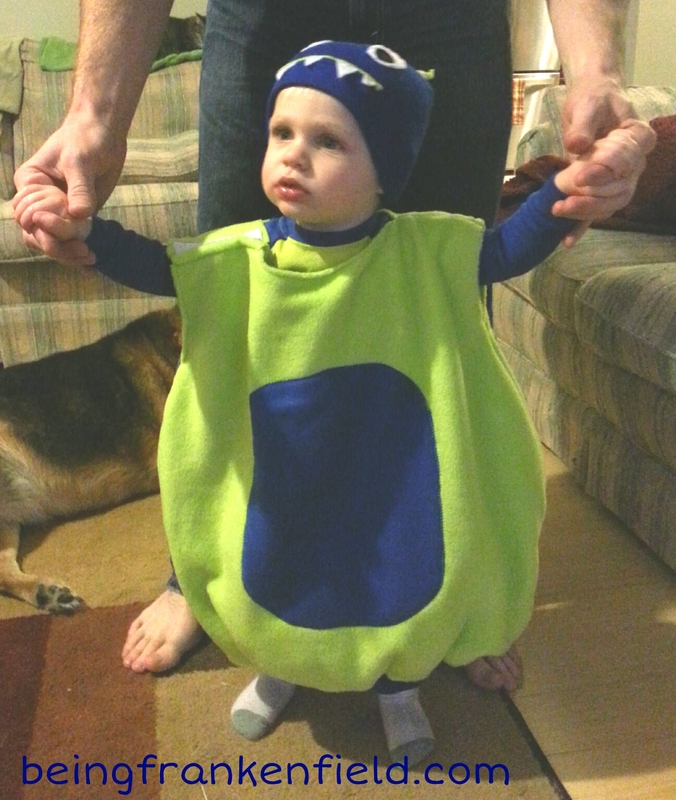 Now for his third Halloween, Ian will be just over 2 years old. But he hasn’t expressed any great opinion on what he wants to wear (I’m not entirely sure he understands the concept anyway). Which leaves it up to me and Jon to decide. But that’s the problem- I can’t decide! This is probably my last chance to inflict my will on his costume, so I don’t want to waste it! My current prevailing idea is to have him be Mickey Mouse. 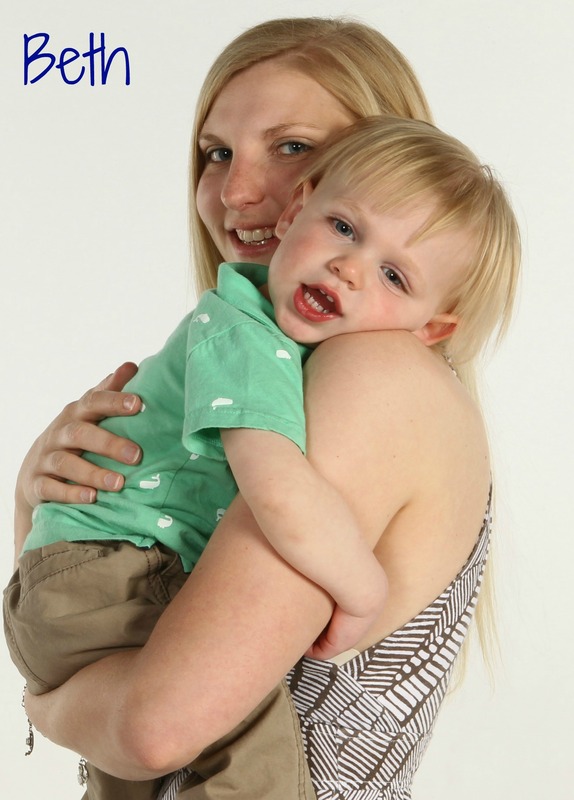 He LOVES Mickey Mouse (thank you, Mickey Mouse Clubhouse), so I think he’d really like it… not to mention it would be pretty easy and super cute. But I go back and forth on ideas every day or two. Anyone have any suggestions??? What are your littles going to be for Halloween? 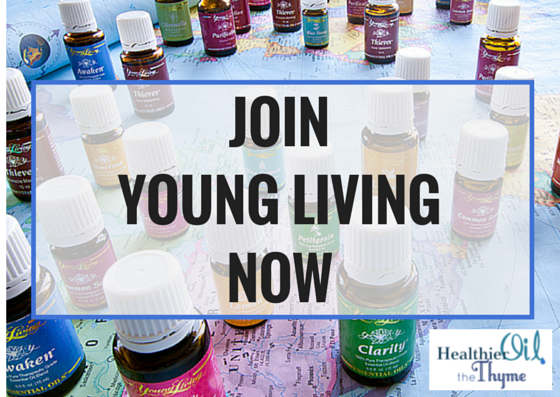 Where do you get your ideas and inspiration? That’s so cute. Halloween isn’t really big here in Australia so no costumes needed here. Pity… It’s a bit fun.